He is the "best prepared candidate". 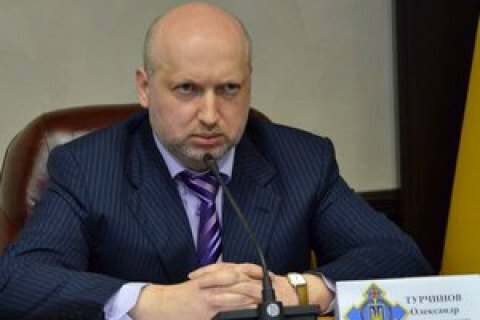 The secretary of the National Security and Defence Council, Oleksandr Turchynov, has publicly supported incumbent President Petro Poroshenko's re-election bid ahead of the 31 March elections. "I consider Petro Oleksiyovych Poroshenko to be the best prepared candidate today," he said in an interview with One Plus One TV. He added that he had not communicated with his long-time ally Yuliya Tymoshenko since 2014. Turchynov also spoke high of comedian Volodymyr Zelenskyy, whom polls put in the lead of the presidential run. He said that he was not planning or parliament in the office.